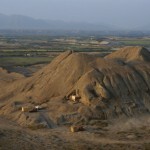 The site of La Mina, also known as Huaca de la Mina or Cerro de la Mina, is located in the Jequetepeque Valley of Peru’s north coast, about five kilometres from the sea. It is named after an abandoned gold mine which is known to have been used in the Inka period and perhaps before. It is one of the few sites in which the early Moche period has been excavated by archaeologists. In mid-1988, objects from a rich Moche tomb began to appear on the art market. They were similar in style to the famous (and recently looted) objects from Sipán, but were different enough iconographically that experts doubted that they came from the same site. Rumours abounded that the pieces came from a site somewhere in the Jequetepeque Valley (Kirkpatrick, 1992: 183). Archaeologist Christopher Donnan and colleagues spent nearly a month searching for the site, both on the ground and via aerial photography, without locating it (Kirkpatrick 1992). On 11 May 1989, archaeologist Walter Alva was contacted by an unnamed antiquities collector based in Trujillo (Kirkpatrick 1992). The collector told Alva that the fine objects on the market were from La Mina which, like Sipán, was not originally thought to have been used by the Moche. An unemployed farmer and known looter had located Moche material while digging at the site. The looter followed a tunnel that had been carved into the natural hillside and stumbled on a spectacularly rich Moche tomb (Kirkpatrick 1992). The looter told no one of his find, ‘withdrawing’ gold objects from the tomb whenever he needed the money. Because of the high quality of the objects and the time that elapsed between objects appearing for sale, the collector initially suspected that the objects were fakes manufactured by local dealers. However, upon discovering the identity of the original looter and questioning him, the collector was able to tie the pieces to La Mina. The collector feared that word had spread about the discovery, and that the La Mina tomb would be destroyed by swarms of looters before archaeologists could study it. He hoped for Alva, famous for his Sipán intervention, to protect the site (Kirkpatrick 1992). Upon reaching La Mina, Alva encountered several looters in the process of digging (Kirkpatrick 1992). By then the tomb, which was painted with murals of snakes and stingrays, had been completely emptied. A rescue excavation was launched. According to Kirkpatrick (1992), the art market’s reception of the looted La Mina material was ’lukewarm’, at least compared to the response to comparable objects from Sipán. Although the quality of the La Mina material was spectacular, Kirkpatrick speculated that the poor publicity associated with Sipán had spoiled the market for new Moche material. 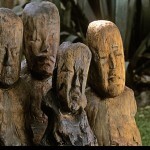 Nevertheless, as later returns would attest, much looted La Mina material was illegally exported from Perú. The coincidental connection of the looting of La Mina to the looting of Sipán became a factor in investigations into the John Bourne Collection. For years, Bourne maintained that certain Moche gold objects in his collection came from La Mina, not Sipán (Constable 2008). If true, these claims would have tied Bourne’s collection to the looting of La Mina, which is known to have occurred in 1988. The suggestion that objects in the Bourne Collection came from La Mina had the effect of exempting them from scrutiny where they were imported after the 1990 US emergency import restrictions on Sipán objects and before the 1997 US-Perú antiquities bilateral agreement. 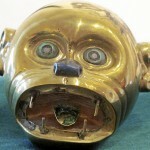 That said, in 2011 a gold monkey head bead, formerly in the John Bourne Collection, was returned to Perú with the understanding that it came from Sipán and not La Mina. Perhaps the most famous object from La Mina is a large golden headdress of a tentacled zoomorphic sea god. The headdress was most likely removed from La Mina during the initial 1988 looting of the site (Laville 2006). It was allegedly purchased, along with other La Mina items, by the collector Raul Apesteguía, who sold it on to Costa Rican dealer/collector Leonardo Patterson (O’Brien 2006). 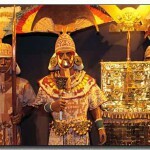 Apesteguía was brutally murdered in his home on 26 January 1996: he was beaten to death and six boxes of pre-Conquest gold and ceramics were taken from his collection (O’Brien 2006). The police determined that he died at the hands of an antiquities trafficking mob with whom he was associated. An August 1996 raid at Lima’s international airport produced three objects taken during the Apesteguía murder, along with 445 other artefacts which were in the process of being shipped to French dealer Yves de Parceval (O’Brien 2006). The sea god headdress, along with other Peruvian objects linked to Apesteguía, appeared in a 1997 catalogue that accompanied an exhibition of Patterson’s collection at the Museo do Pobo Galego in Santiago de Compostela, Spain (O’Brien 2006). By 2006 the piece was in Belgium and on the market, fromwhere it was trafficked into the UK. It was recovered by London’s Metropolitan Police and returned to Perú in August 2006 (Laville 2006). According to the Guardian newspaper, ‘a London solicitor’s firm had facilitated the return on behalf of their client after an intelligence-led investigation’ (Laville 2006). Reportedly, the piece was offered to an undercover agent who agreed to pay an unnamed collector £1 million for the object if the exchange was made in London (O’Brien 2006). Several reports state that a key player in this sting was the Dutch art dealer Michel van Rijn and, in turn, van Rijn has stated in interviews that Leonardo Patterson was the collector who was the target of the sting (for example, see Lucena 2006). 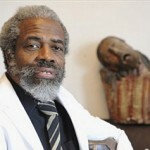 Based on the contents of the 1997 catalogue and at the urging of Walter Alva, a Peruvian court issued an arrest warrant for Patterson in 2004 (Associated Press 2008). As a result of that investigation, in 2008, the government of Spain officially returned 45 Peruvian cultural objects that had been seized in the 2007 raid of a warehouse owned by Patterson (Associated Press 2008). 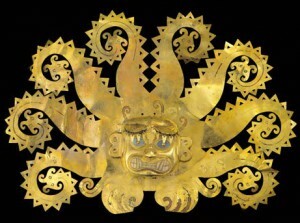 Twelve of these pieces are thought to have come from Sipán but many of the others, including gold masks, jewellery, and ceramics are thought to have come from La Mina (Associated Press 2008). Patterson claimed that all the objects were on loan from German millionaire Anton Roeckl (Associated Press 2008). On 5 August 2009, U.S. Immigration and Customs Enforcement (ICE) seized two ceramic artefacts on a Swiss Air flight from Zurich to JFK International Airport in New York. The objects appeared to be from La Mina or the nearby Moche site of Dos Cabezas, and were in the posession of Roeckl (ICE 2010). The ICE determined that the invoices Roeckl held were misleading insofar as they indicated that the objects had been purchased in Germany in the 1960s. 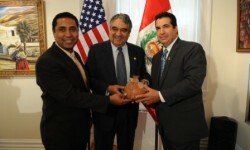 The pieces were returned to Perú as part of a settlement with Roeckl (ICE 2010). ICE (2010. 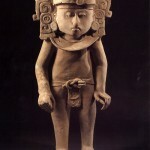 ), ‘Art collector settlement allows repatriation of 2 rare ceramic antiquities to Peru’, Website of the ICE, <http://www.ice.gov/news/releases/1011/101103newyork.htm>, accessed 1 May 2012. Unless, of course, the pieces could be proved to have been property “stolen” from Perú: a historically difficult thing to prove to the degree required by US Courts. Prehispanic America: time and culture (2000 B.C.–1550 A.D.) (1997) by Mariano Cuestas Domingo also printed in Spanish as O espírito da América Prehispánica, 3.000 años de cultura.